This is the fourth of four posts from Aurelia. Indians are ‘ear’ minded: it’s the information that counts, and not so much the spelling. Fair enough. As an expat who’s been around for long enough, you get used to it, sometimes you even chuckle about typos. But if not only the spelling goes for a toss, but you can’t figure out the information and meaning of something, it gets complicated. This happened to me in one of the upscale restaurants. India is not really known for their excellence in alcoholic beverages. And that’s fine. Copying what has worked for others is not a new thing. 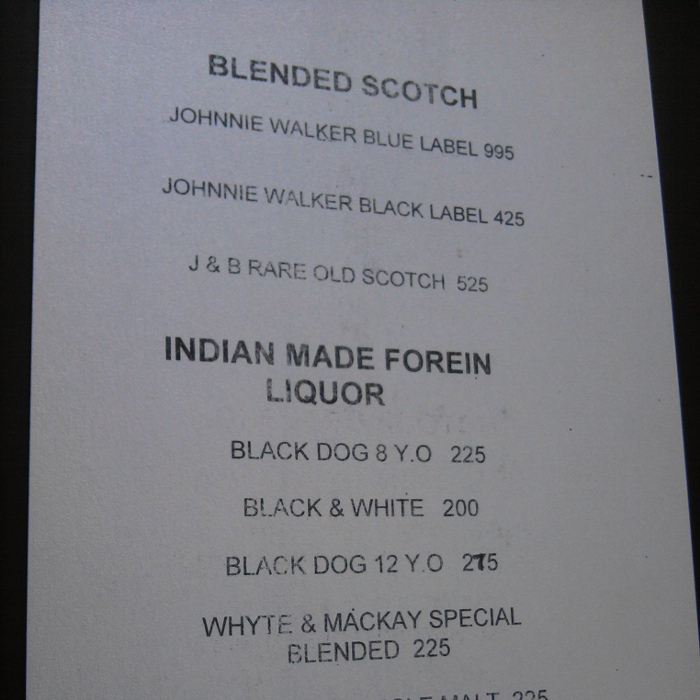 But what the heck is Indian made foreign liquor?